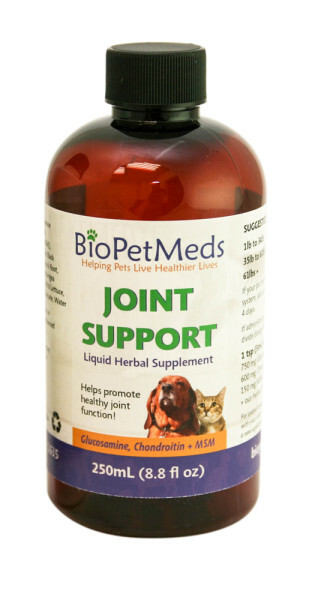 "Zoe’s been on BioPetMeds arthritis support, every day for over 9 years, and I have found it has had great results with Zoe. She is able to get the minerals and vitamins she needs to lubricate her joints and to reduce the inflammation. She also doesn’t mind the taste either!" "Copper was a rescue dog suffering with arthritic and joint issues so bad, that Alex and Kristen were at that gut-wrenching point of considering putting Copper down. Copper went on to live another 7 years, thanks to BioPetMeds Joint Support formula."